Abide With Me ~ Hymn | The Happy Wonderer ~ ellen b. For over a cen­tu­ry, the bells of his church at All Saints in Low­er Brix­ham, De­von­shire, have rung out “Abide with Me” daily. The hymn was sung at the wed­ding of King George VI, at the wed­ding of his daugh­ter, the fu­ture Queen Eliz­a­beth II, and at the funeral of Nobel peace prize winner Mother Teresa of Calcutta in 1997. 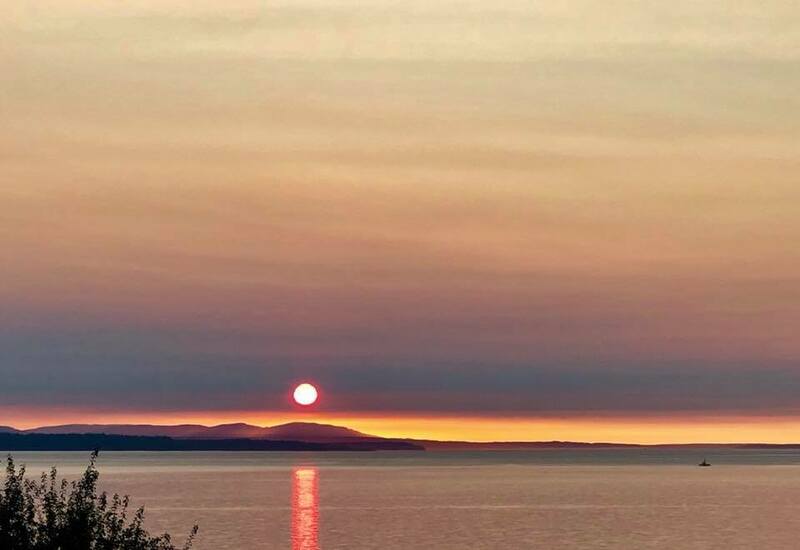 Posted on August 12, 2018 by Ellen •	This entry was posted in Hymns and tagged Abide With Me, Henry F. Lyte, Sunday Hymn, Sunset on Puget Sound. Bookmark the permalink. …looks like a gorgeous ending to another gorgeous day! One of my most favorite hymns! Thank you for posting it here, today, Ellen. I wasn’t able to be out to church this morning and this was a reminder to me of His love.